Superdry men's Core utility pants. 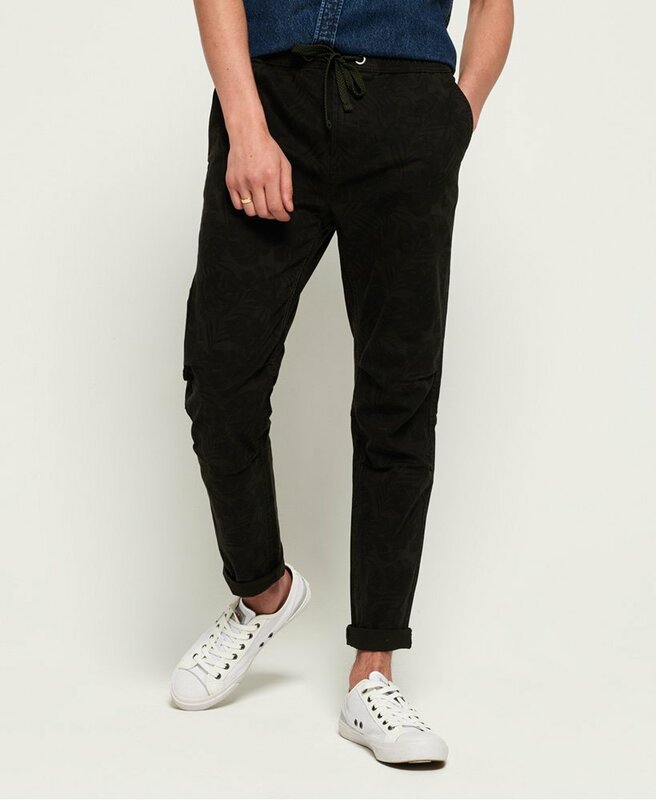 Swap out your jeans this season for a pair of Core utility pants, featuring a drawstring, elasticated waist, two front pockets and two back pockets, both with a popper fastening. Completed with a logo badge above one back pocket, pair these utility pants with a crew neck t-shirt and trainers for a great everyday look.